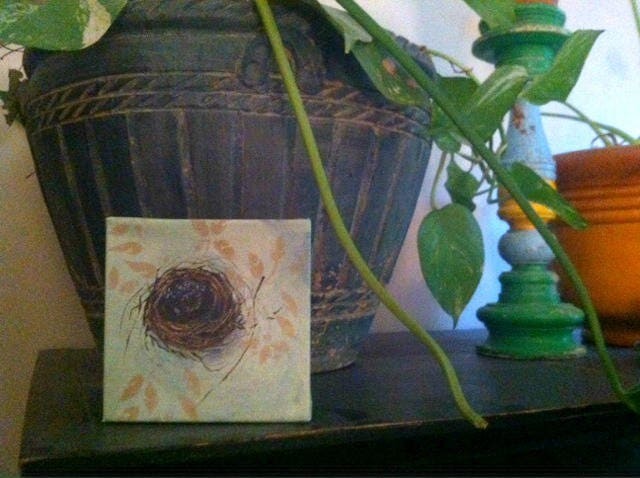 This is a very sweet painting of a nest with stenciled patterns of leaves. It makes a beautiful statement in the fall as well as spring because of its colors. 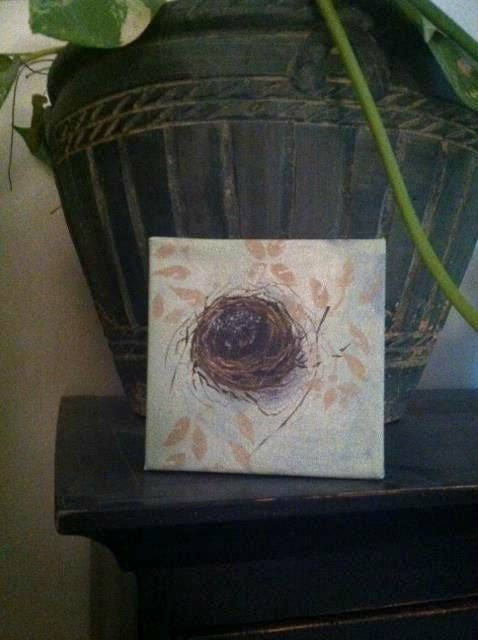 A perfect gift for someone who has "an empty nest" with the children gone off to college or just to live on their own. 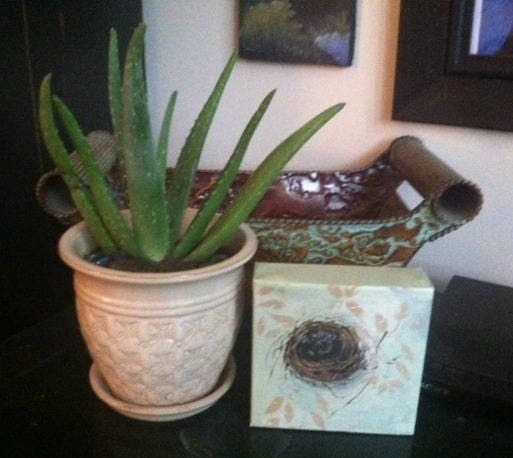 The painting's main color is a soft sage green. 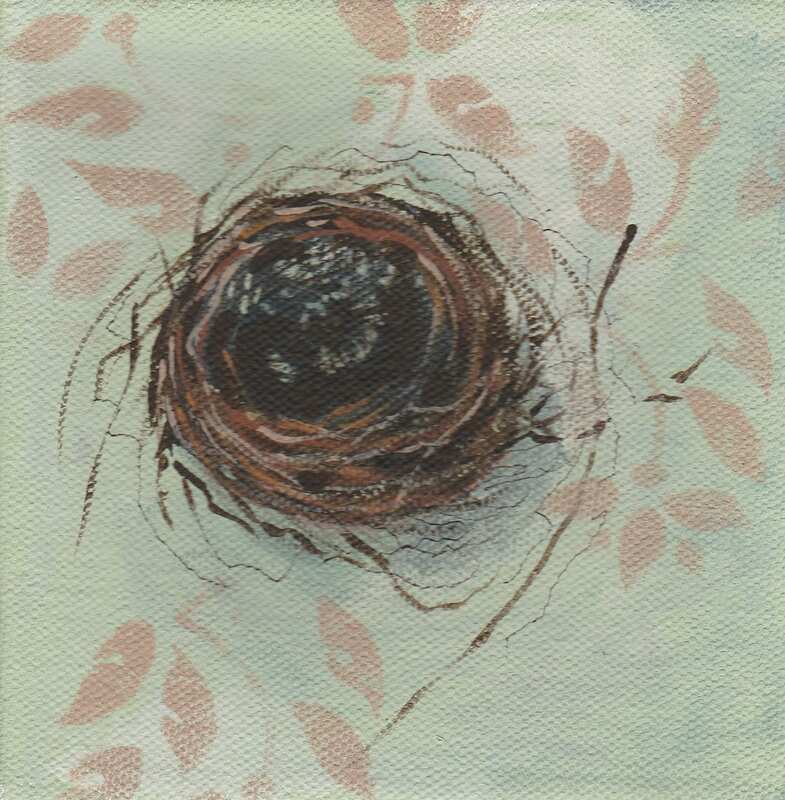 It measures 5" square and does not need a frame as the sides have been painted. Shipped with care and love.